What is Sun Valley Resort SMS? Sun Valley Resort SMS is a service that allows users to opt-in to receive information about Sun Valley Resort. For more information, please see www.sunvalley.com. What is the price for Sun Valley Resort SMS services? There is no additional charge for Sun Valley Resort SMS services. However, normal text messaging rates or package deductions may apply. Check with your carrier for details on your plan. What carriers are compatible with Sun Valley Resort SMS? Standard message and data rates apply to all text messages. Message rates differ from carrier to carrier, so please contact your wireless phone service provider to inquire about the details of your plan. Is Sun Valley Resort SMS available for international users? Sun Valley Resort SMS is currently available for subscribers within the United States. How do I opt-in to Sun Valley Resort SMS messages? If you wish to receive SMS update messages from Sun Valley Resort, or if you want to reactivate your subscription to our updates program, please text SUNVALLEY to 42427. If you wish to receive snow reporting SMS messages from Sun Valley Resort, or if you want to reactivate your subscription to our snow reporting program, please text SVSNOW to 42427. How do I discontinue receiving Sun Valley Resort SMS messages? To discontinue receiving SMS messages from Sun Valley Resort, text SVSTOP to 42427. 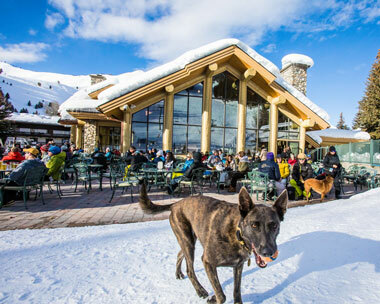 For additional help, please contact info@sunvalley.com or call (800) 786-8259.